Come on in and have a look around! Scroll down to see the full extent of the library. You will be amazed. New financial articles and infographics are added regularly so you will never be short of great content. In addition to the 20 financial categories, there are lifestyle articles to help you balance out your client communication. After all, wealth isn’t just about money. The latest articles are clearly displayed. Each title will take you direct to that article. Looking for a specific topic? Just type the word into the search field and you will be given a list of articles that address that topic. For a complete picture of the financial content available, download the Article Index. Go ahead and check it all out. You can preview everything below. Or do you want more than just a preview? 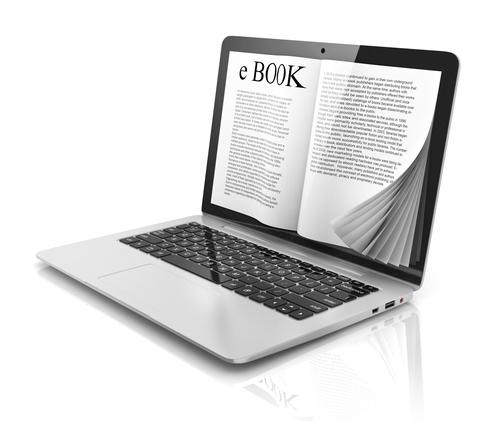 E-books are a great tool for lead generation from your website or social media. You can also send them to your clients as a gift. The e-books are provided in Word format so you can change them as you wish to meet your own compliance requirements and personalise each publication with your logo and contact details. The e-books also contain licensed images. Use these instructions to help you personalise your e-books. We've tried to make it as easy as possible, but if you do need assistance, our design service is available. Due to popular demand, this third e-book focuses on planning for aged care. It explains the types of care available and associated fees, as well as information on how to manage the family home and other key aspects of what is involved in this emotional topic. Perfect for lead generation from your website or as a gift to your clients. The latest Intergenerational Report tells us that Australians aged 65 years and over accounted for 14% of the population – and that figure is rising. Whether you’re concerned about your future self or a loved one, aged care is an issue most of us will have to manage at some time in our lives. Given mounting pressures on governments to assist an aging population, more Australian families are taking the support of elderly loved ones into their own hands – and this is where it pays to do early homework. There are so many complexities involved in planning for aged care – be it your own or your parents’ – but the one with the most impact is the emotional strain. It can be heart-breaking to see once vibrant loved ones begin to decline as they age. The majority of us want to do everything we can to make this stage of their lives as pleasant as possible, but that may not always be an option. What most of us can do though is to plan ahead for the financial impact. To download and use this content, make sure you're logged in then hit the Download button and choose 'Save as' to keep the document. No login details? Register above for full access. This second e-book focuses solely on superannuation. It covers all angles including choice of super, investing in super, holding insurance in super, salary sacrifice, superannuation contributions, self-managing super, and the role super plays in estate planning. The government regularly reminds us that each Australian must take responsibility for funding their future. Regardless of when you will be able to access your super, or when you choose to stop working, you need to be aware of how your superannuation is being managed and if the final balance will be sufficient when you’re ready to retire… and for the years beyond. As a super fund member it is your responsibility to manage your contributions (over and above your employer’s contributions), regardless of whether they are being invested into a retail fund, industry fund or your own self-managed fund. Superannuation is a tax structure but it should be treated like a valuable financial asset. The fundamental principles of financial planning prescribe that individual tailoring, based on your needs, objectives and personal circumstances, is paramount to ensuring you have enough money to enjoy your later years. The End is Just the Beginning! Add your own personal touch to make it yours. Some people may think that a financial adviser’s role is to forecast the direction of the share market from month to month and invest clients’ money accordingly. This is not the reality, of course. Investments are only one small part of what your financial adviser can provide for you. Aside from the strategic components, some of the key areas that we may be able to assist you with are as follows.